If you frequent this site then I hope you recognize the name Brandon B and you're familiar with his work....if not peep here, here, here, here, and here. Now that you're caught up I have a confession to make, I saw something about his new album Rhythmic American Poetry being released and I completely slept on it. My initial reaction was that it had a dope title and that the picture on the cover reminded me of when a friend asks you to make a bad decision and is awaiting your reply...I'm not sure why that combination caused me to sleep on it, but unlike Dr. Dre I have officially been caught slippin. Fortunately for me Brandon B reached out which was the reminder I needed to check out his new album. Rhythmic American Poetry is ten tracks of everything you've come to expect from the Gurp City crew. Tough raps, relatable subject matter, regional slang, beats for the crib or the whip, and guest appearances from some of the best of the bay. Featuring guest raps from Z-Man, Equipto, Topr, Luke Sick, Eddie K, Mike Marshall and more. 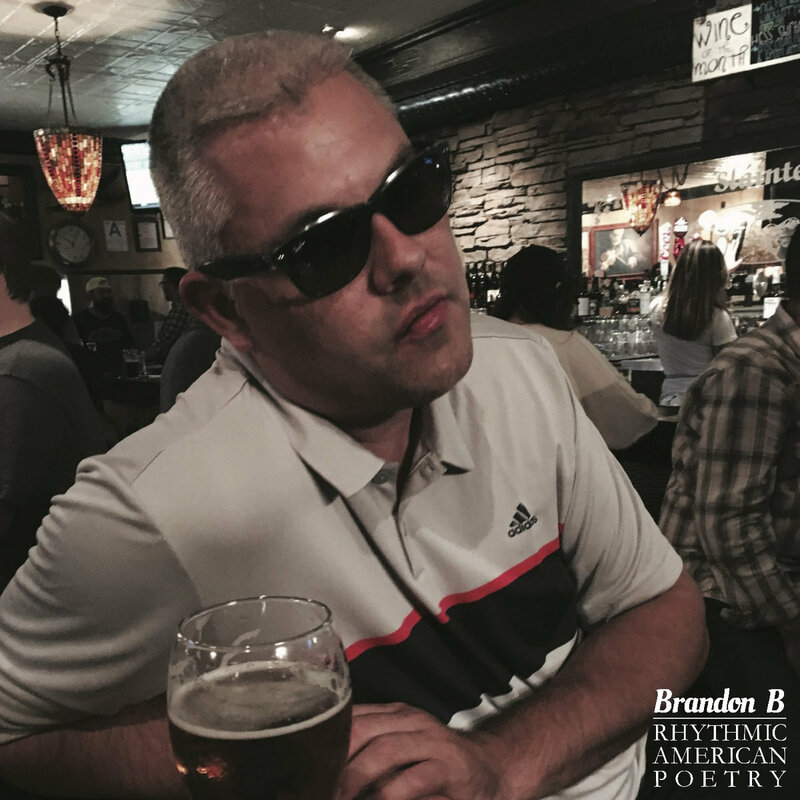 Do yourself a favor and head over to the Gurp City Digital Bandcamp and peep game on Rhythmic American Poetry from Brandon B.